This is not a rural pursuit, it’s an industrial process. We are in a financial mess. It is, however, less than the amount caused by the Second World War. In 1946 the debt was spread over 60 years. That done, successive governments built hospitals, schools and millions of houses; they invested in the future. 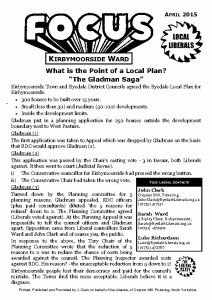 Election 2010: Ryedale constituency is no more. 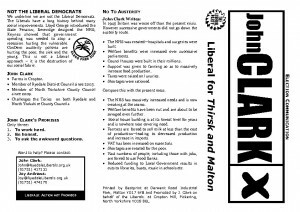 Most of Ryedale is now part of the new Thirsk and Malton constituency, where John Clark is standing for election. 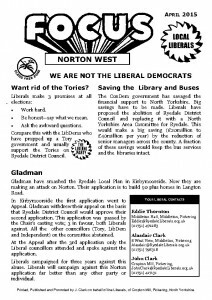 Please visit Thirsk and Malton liberals for more information.